I think most of us crave a little me time during the holiday rush, don't we? I know I do! The gatherings, shopping, pigging out, etc. is all fun, but I always look forward to any quiet time I can get. And we all deserve to pamper ourselves and take a little time out to just focus on YOU. To let the stress of what to get for so and so, what to make for the potluck dinner, how to get from point A to point B on time...to just let it go. If only for a moment! Ah, now that's bliss. Here's a few products that I know are going to be prominent in my holiday pamper sessions. And I would love to hear what you are loving during yours! Soap & Glory The Righteous Butter - If I have a dry patch of skin that needs to be taken care of right away, I know that I can always depend on this. 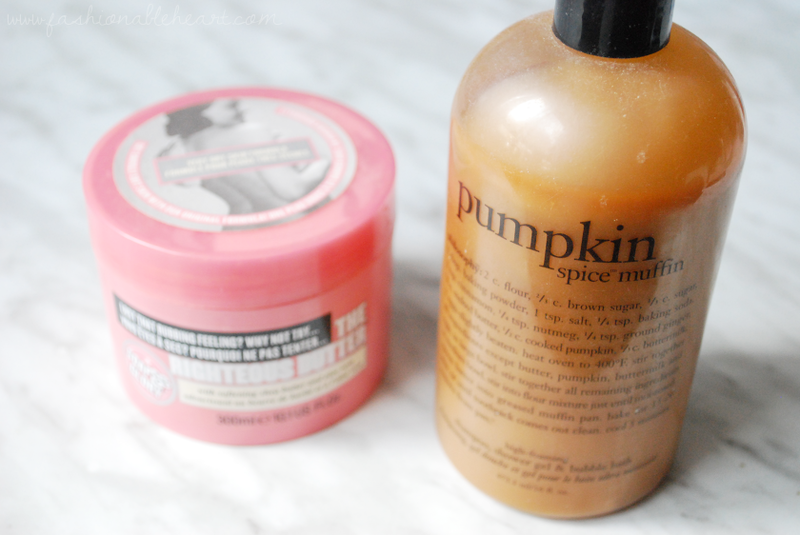 It's one of my favorite moisturizers to reach for in the colder months. Philosophy 3-in-1s - Any of them! Right now, I've been shopping my stash and landed on Pumpkin Spice Muffin. Yum! I don't think they currently offer this one, which is a total shame. I love this Philosophy formula. A little goes a long way and it always feels decadent. 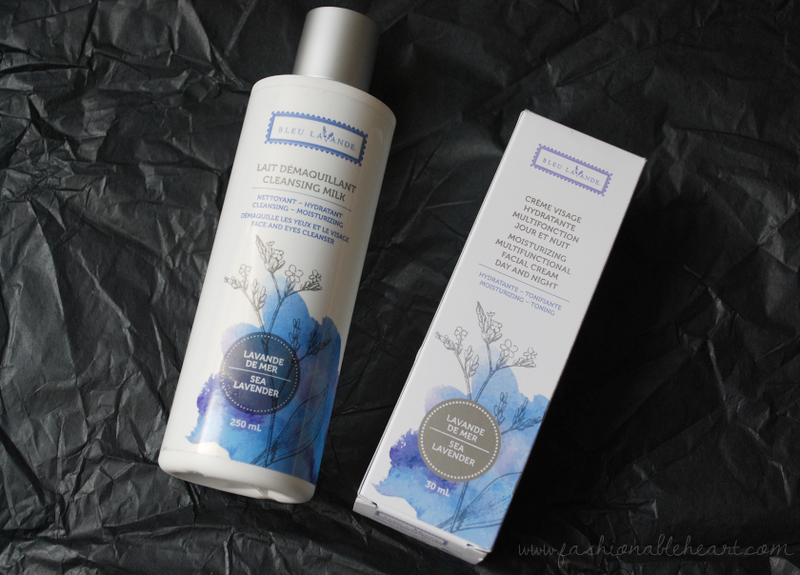 Bleu Lavande Cleansing Milk* - No alcohol, parabens, or mineral oil makes this gentle enough for my sensitive skin. I tend to do my pamper sessions at night, so I love the lavender scent. This is an added step in my skincare routine that I don't do that often, so it's a nice bonus when I do. The Bleu Lavande Cleansing Milk formula contains honey, perfect for fighting aging and dry skin. You simply apply this with a cotton pad after washing your face. You don't even have to rinse it off. A win for us lazy girls! Bleu Lavande Moisturizing Facial Cream* - The brand is made in Canada and does not test on animals. The packaging of this is gorgeous. Stay tuned to my Instagram feed to see it out of the box! The Bleu Lavande Facial Cream can be used day and night, but again I love using it at night with the relaxing scent of lavender. Lavender is one of my favorite smells. I just want to keep picking these up and smelling them! Like above, the formula has no alcohol, parabens, or mineral oil. I love the addition of argan oil, as it works well at hydrating skin. Drink* - Hot cocoa, coffee, wine. There needs to be a drink involved. 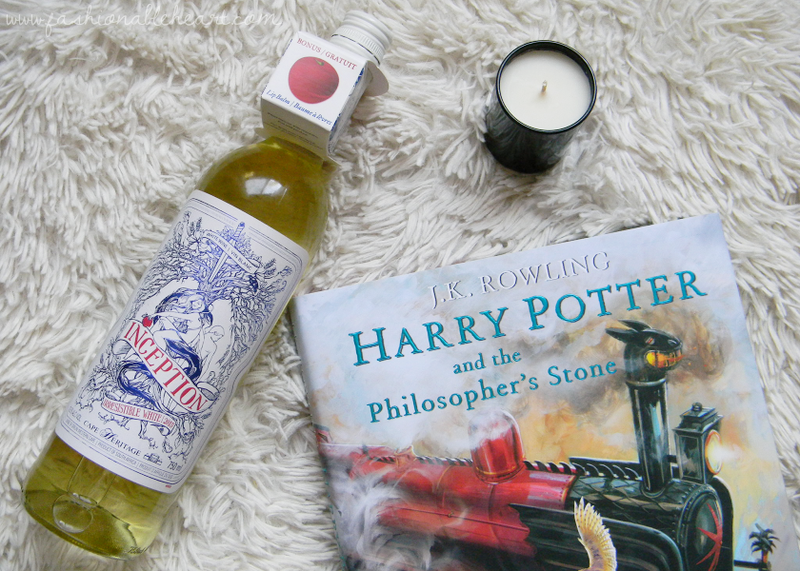 I go back and forth between enjoying mine in the bubble bath or afterward when I am snuggled up with a good book. This Inception Irresistible White Wine hails from South Africa. What is fun about it right now is that it comes with a little lip balm attached! Great for us beauty lovers! You can find these at LCBO in Ontario and it is at a great price point. This is a fruity white wine with notes of peach. With a clean finish, the aftertaste is not long but it is pleasant! I totally dig the artwork on the label too. Candle - Needed. I don't care what brand, as long as I enjoy the scent. Simply a must for setting the mood! Blanket - Is there anything better after a bubble bath than slipping into PJs and cozying up in a fluffy blanket or comforter?! Honestly, I don't even know how I get up in the mornings after these pampering sessions. It's a hard task to leave your couch or bed when you're in a comfy blanket cocoon. Reading - A current issue of a magazine or a book you are currently reading or have been hoping to start. I don't care if it is on my tablet or a hard copy. Reading has that instantaneous "this is my time to relax" feeling for me. **Some items in this post were sent to me for testing and reviewing purposes. All thoughts and pictures are my own. There are no affiliate links in this post.